I just got this Blazer. 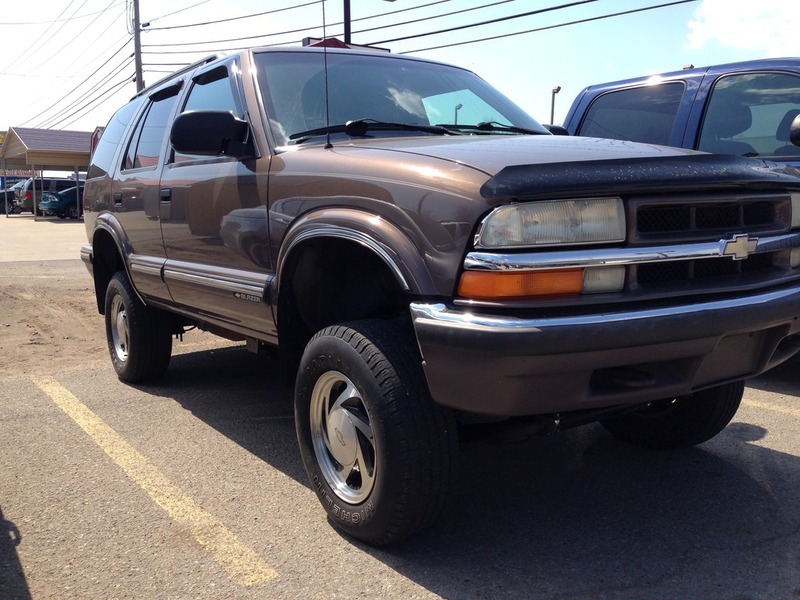 It's a 1999 4.3l 4x4 4 door. Granny driven so the thing is like brand new and LOW miles. I got it for a steal too, so here come the upgrades. 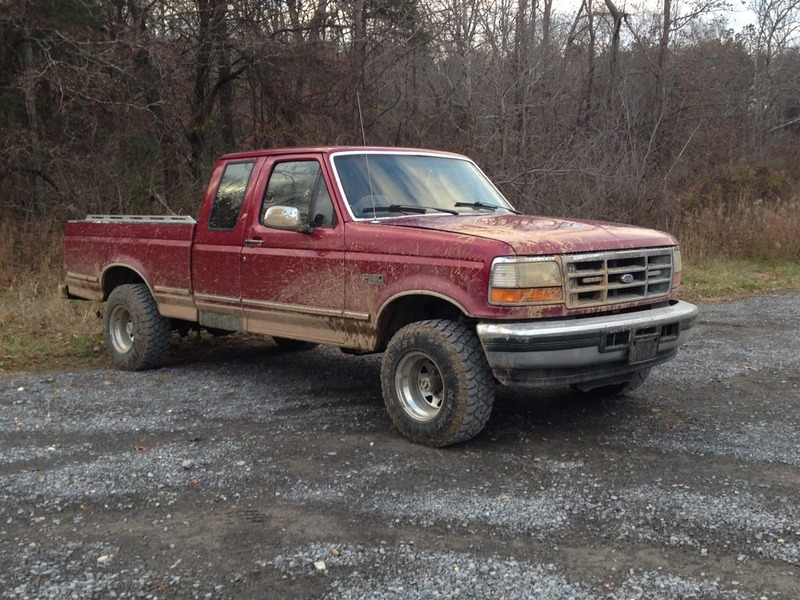 It started as this 1995 Eddie Baur F-150... good old truck, but I needed something better. 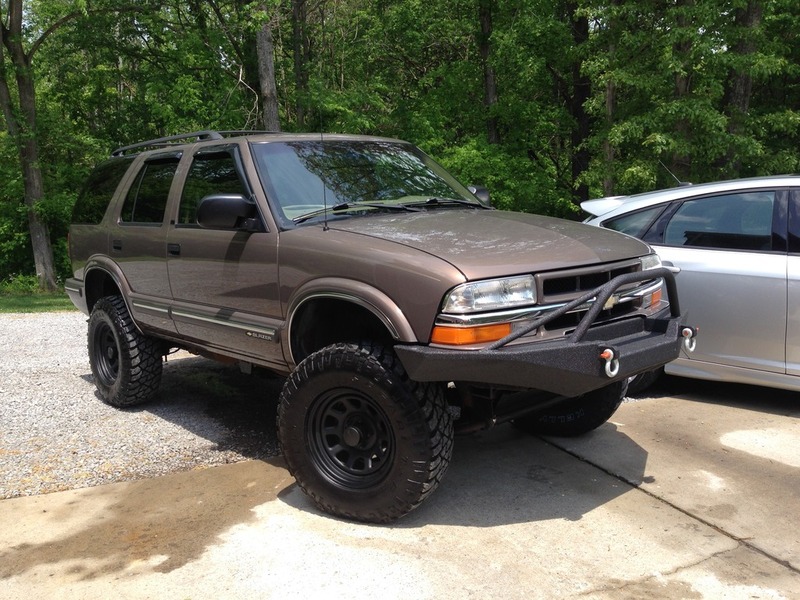 I don't have any pictures from before the lift, but here it is with the lift and the stock tires/wheels. Both are all steel and fully custom. 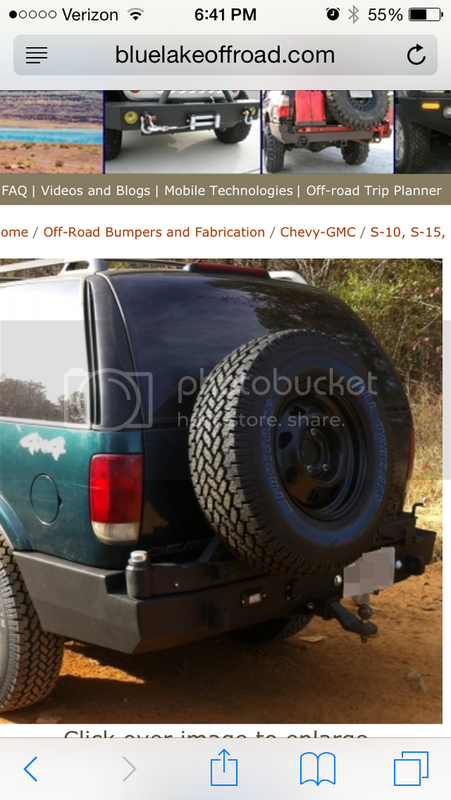 Took me forever to find somewhere with cool bumpers for a Blazer... maybe this will help ya'll find something you want. That rear bumper looks sweet! Edit: And expensive as f**k! I just checked out the website and holy crap! Last edited by lazyboyjake; 04-05-2015 at 10:58 PM. Yeah it is kinda pricey. I'm young and single with no kids and a sweet job so I can afford it. I just put my new bumper and winch on. I got the Smittybilt X20 10k. I love the way it looks. I am looking for a new alternator for it. I have a new battery, but the winch pulls a lot of juice. I do realize that my shackles are too small. I have already ordered the right ones. ad244 alternator out of a fullsize is a good upgrade. But no alternator can stand up to a winch. 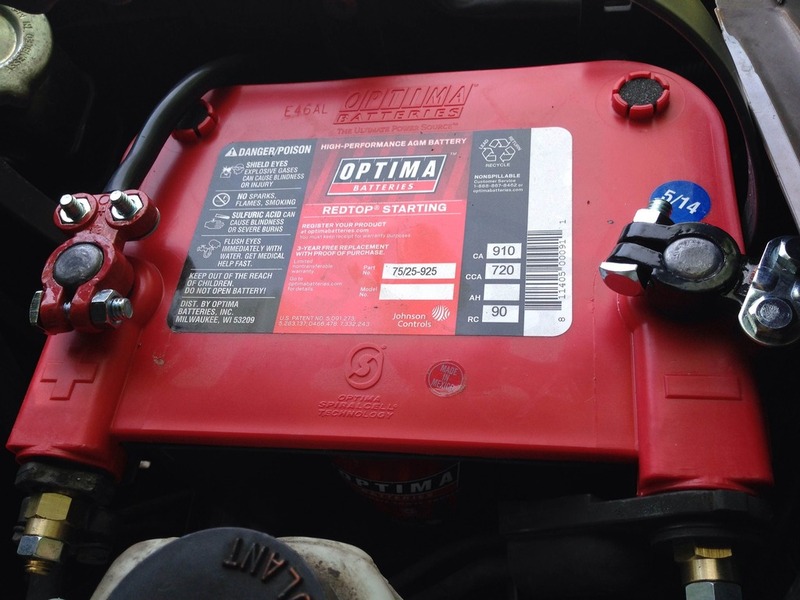 A good battery is all you can do. 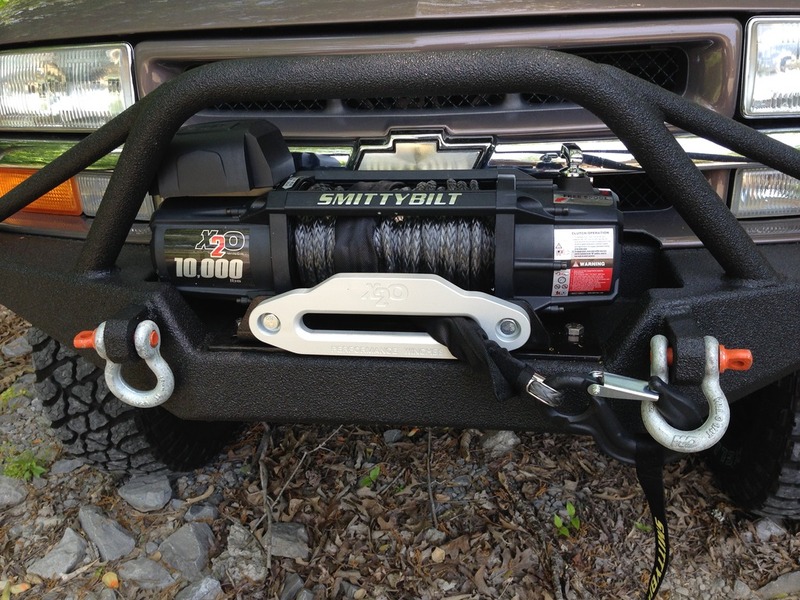 Pretty nice set up on front bumper with winch! Get a better battery..
Just got a new battery. The voltage gauge still drops quite a bit, but I guess you guys said the winch is still going to do that. Another thing, I am thinking about cutting my fenders for tire clearance. 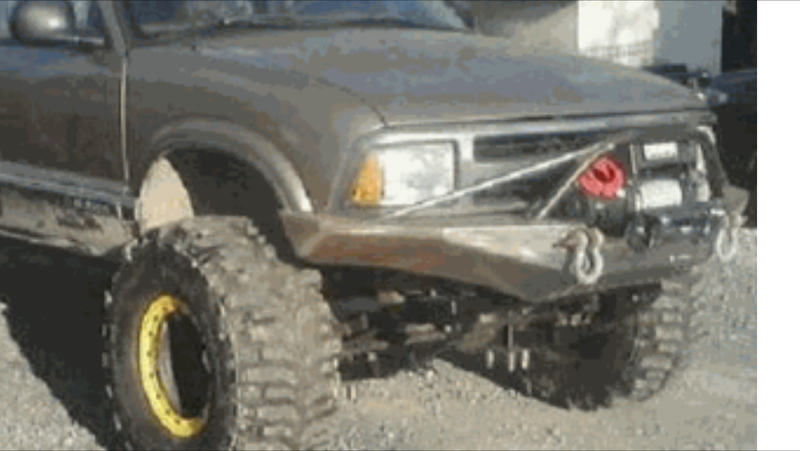 I don't really want it lifted any higher to help keep some stability on the trails. Does anyone know what to look for so I don't cut something important? Or if there is a thread on here already that I haven't found yet? Looks sweet! 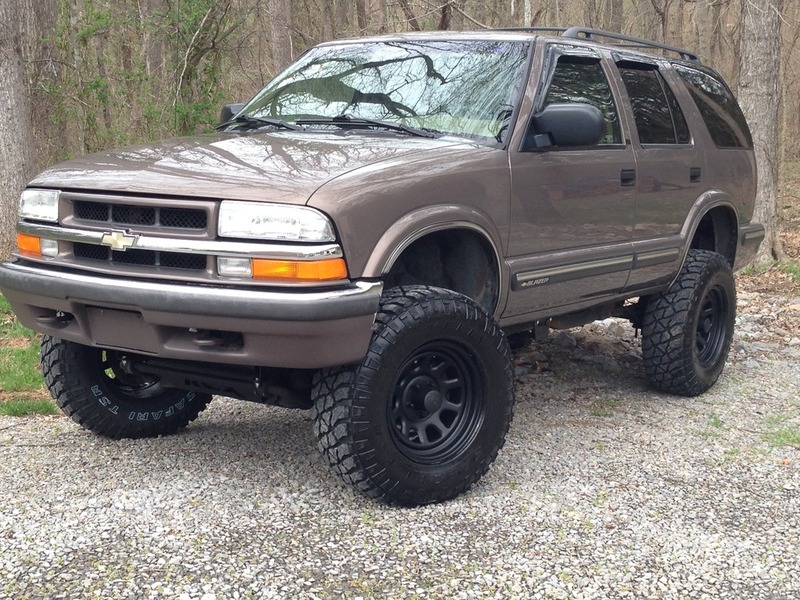 What lift and size if tires are you running? Rough country 6" suspension lift with 265/75/16 kelly safari tires.